As a city with industrial roots, it’s no surprise that Tacoma’s art form of choice is an industrial art: Glassblowing. Artists here work with blowtorches instead of paintbrushes, and that’s what makes this the home of glass art in the Pacific Northwest.Only in Tacoma will you find two museums, the Tacoma Art Museum and Museum of Glass, with world-class studio glass art collections, connected by the Dale Chihuly Bridge of Glass. Glass art installations hidden – and not so hidden – throughout the entire city. Local glass artists who help you create your own masterpiece to take home. Tacoma’s Museum District consists of six museums with subjects as diverse as maritime, history and automobiles, but two in particular put Tacoma’s glass-art pedigree in full view. Sitting right on Tacoma&apos;s picturesque waterfront, the Museum of Glass is situated in a modernist-designed building attached to a 90-foot stainless-steel cone that towers over the museum and helps define Tacoma’s skyline. Inside the cone sits a functioning hot shop surrounded by amphitheater-style seating where visitors can watch local artists and students, as well as guest artists from around the world create vases, bowls, plates and sculptures in every color in the spectrum. Kids Design Glass is a program where children draw something from their imagination, and then the museum&apos;s hot-shop staff turn it into three-dimensional, custom-blown reality. The museum makes two of each sculpture: One to put on display at the Museum, and one for the child/designer to keep. 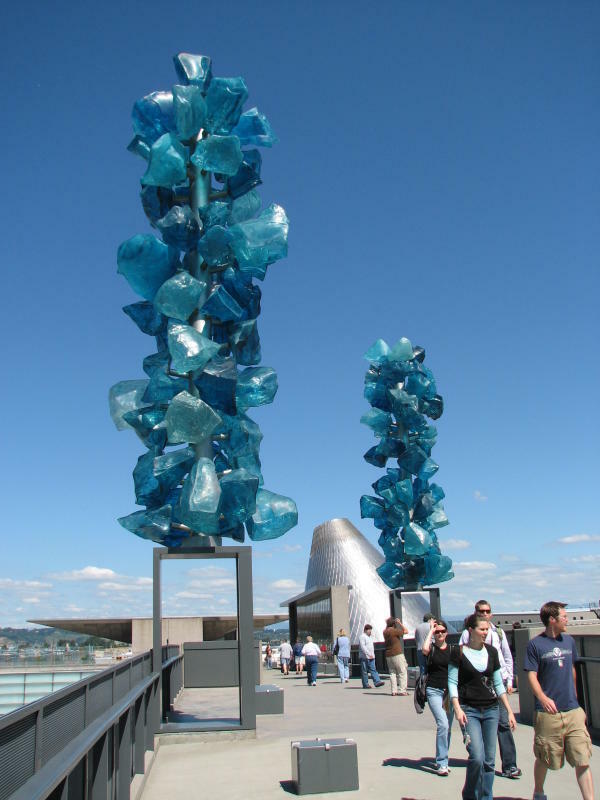 Tacoma Art Museum is home to a substantial – and growing – collection of glass art. 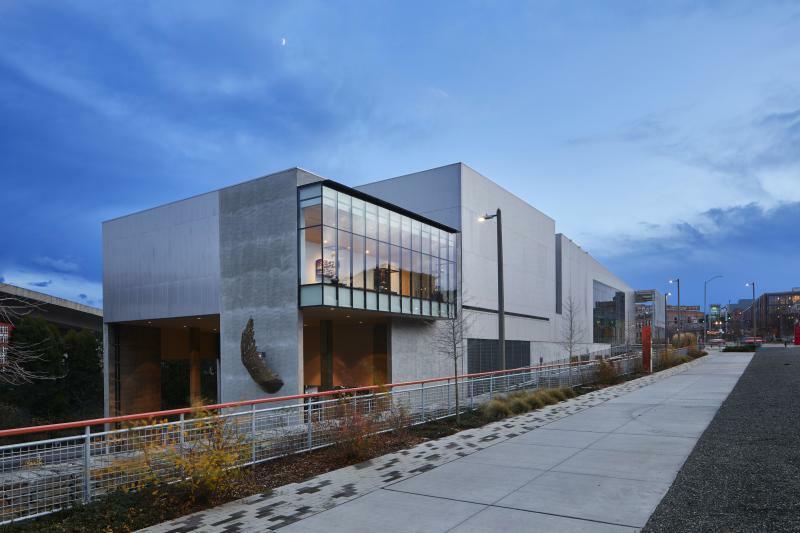 The newly open Rebecca and Jack Benaroya Wing is cementing Tacoma as the nexus of the contemporary glass art movement. The new wing is home to stunning exhibits that explore contemporary glass art as it grew from a craft and tradesman world, to the heights of the contemporary studio arts. You can walk through a forest of glass by artist Debora Moore in the premier of her Arboria exhibit. Three permanent collections of studio art glass consist of hundreds of pieces by artists as renowned and diverse as Lino Tagliapietra, Dale Chihuly, William Morris and Sonja Blomdahl. The Tacoma Art Museum also houses one of the most important collections of art of the American West in the country. Connecting the two museums is the Chihuly Bridge of Glass, a 500-foot pedestrian overpass that includes more than 2,000 pieces in three distinct Chihuly glass installations, and is open to the public 24 hours a day, seven days a week. With sunlight filtering through thousands of colors during the day, and artistically illuminated at night, the Bridge of Glass is one of the most romantic places in Washington, and it’s easy to see why. As the hometown of the most recognized glass artist in the world (Chihuly), you’d expect there to be plenty of his art in the museums here. And clearly, that’s true. But it’s the volume of glass artwork from the masters that’s in public, in unexpected public places, that really makes Tacoma the home of glass art in the Pacific Northwest. A vintage movie marquee – The marquee at the historic Blue Mouse Theatre in the Proctor District features blue neon mice that when lit, appear to be scurrying across the sign. While not something that would normally catch the eye, these are actually some of Dale Chihuly’s first work with neon glass. A university study room – The unassuming silent study room in the Snoqualmie Library on the University of Washington – Tacoma campus houses Chinook Red Chandelier – a 19-foot, 1,500-lb. centerpiece hanging from the ceiling. A federal courthouse – While now a federal courthouse, Union Station began life in 1911 as a major train station built by the same architects that designed Grand Central in New York. An example of the Beaux-Arts design popular at the turn of the century, the station was listed in the National Register of Historic Places in 1974 and converted to a federal courthouse in 1992. It now contains five separate installations by Dale Chihuly: one on each interior wall, and a chandelier in the center. It’s open to the public (bring your ID, since it’s a federal building), and free to tour. A bar – The Swiss Restaurant and Pub has the distinction of being the only bar in the world with Dale Chihuly original work on display. And it’s not just his eight Venetian vases behind the bar – there’s also one of his paintings, if you know where to look. The Swiss was the regular hangout for Chihuly and his team when they were installing the works at Union Station, and as they wrapped up that project, he offered these pieces on permanent loan to the owners of the bar. A college dorm – Dale Chihuly is a University of Puget Sound alum (class of 1963), and has not forgotten his alma mater. The Chihuly Window of Wyatt Hall is meant to evoke images of ivy crawling up the nearby buildings in the fall and was donated in honor of his favorite professor. Visitors come to Tacoma seeking to experience something unique, and to challenge themselves. The creation process of glass art – on display at the hot shop in the Museum of Glass – spurs imaginations, and local glassblowing studios offer an outlet for that creativity. Because why just look at glass art, when there are local artists waiting to show you how to make your own, and ensure that when you leave Tacoma, you’re taking a part of it with you. Area 253 Glassblowing is the embodiment of Tacoma as the True Northwest: an industrial, functional, no-frills hot shop with an experienced team under local glassblower Patrick Cahill. As the first Tacoma-based public-access glassblowing studio, they introduce visitors to glassblowing – what they call “the extreme sport of the art world.” Through classes, workshops and one-on-one mentoring, intrepid visitors of any experience or creativity level can have an authentic Tacoma experience and create their own piece of art to take home. Tacoma Glassblowing Studio is another artists’ studio that opens its doors to the public. 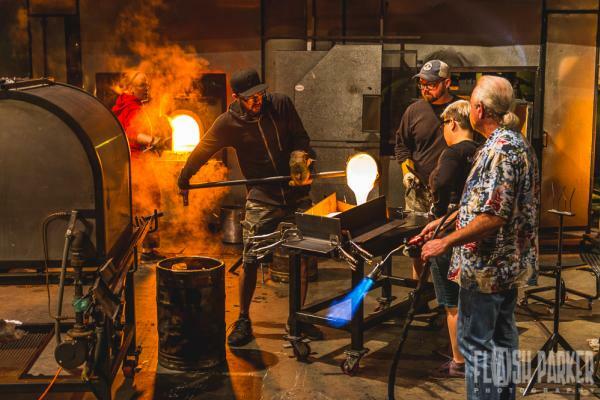 Through specialty workshops, private lessons, and ongoing classes, Tacoma Glassblowing Studio invites visitors to partake in the creative experience and make their own glass-art keepsake. Both studios will safely pack and ship works home to visitors who can’t stay for the full annealing process. With glass art infusing the city’s culture and museums, there’s no reason to stop the appreciation just because the day is done. Hotel Murano is a glass-art themed boutique hotel located in the center of downtown Tacoma. 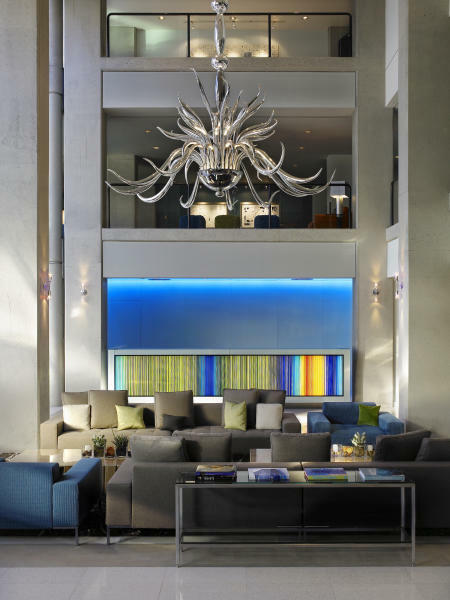 Not only does each floor feature an authentic installation from a world-famous artist (including some Chihuly, of course), but the lobby is adorned with glass sculptures throughout and glass canoes hang from the ceiling. As hosts of such a museum-worthy collection, docents are available to give guests information and insights into the pieces. The Museum of Glass and Tacoma Art Museum both have gift shops with glass art available. At the Museum of Glass, you can even by Chihuly originals! 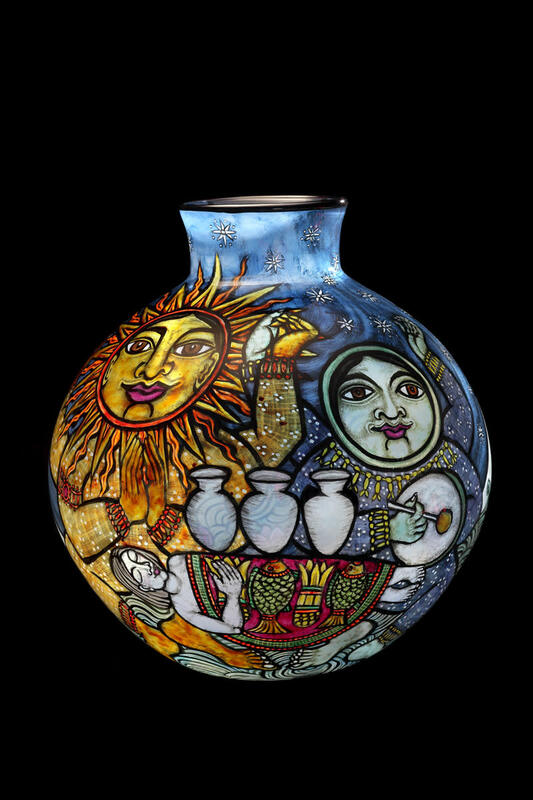 Tacoma Glassblowing Studio, mentioned above, also has an attached store with vases, medallions, platters and bowls. Hilltop Artists is a local arts organization co-founded by Dale Chihuly that has been transforming the lives of youth through the power of art. Their glass-art shop has big sales twice a year, but always offers magnificent student artwork that supports a worthy cause.